oriental scale and red scale. Rich orange colour, about 5 mm long and helmet shaped with fine black margin around the base of the wing covers. Supplied in punnets each containing 30 beetles. 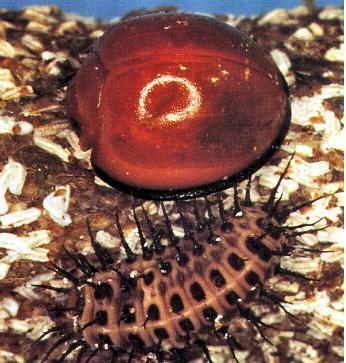 Beetles are carefully tapped onto foliage near pest infestations. Orchard crops: 20 to 50 punnets per hectare. Or view or download a PDF file of the Book entry for Chilocorus.